A modern industrial and agricultural center, located not far from Bologna, Zola Predosa lies in an area divided between plains and hills, crossed the river Lavino. Early settlements are evidenced by several important archaeological finds from the Bronze Age. The culture of the subsequent Villanova, Etruscan and Roman dominations are documented with findings that can be admired today at the Archaeological Museum of Bologna, such as a tomb dowry of particular value of the Villanova period, beautiful vases and bronze figures of the Etruscan period, like the famous "Efebo" found in the farm of Fruga on the slopes of Monte Capra. A main feature of the city are the typical pillars scattered throughout the city, which are symbols of the human need to mark the places with religious icons. 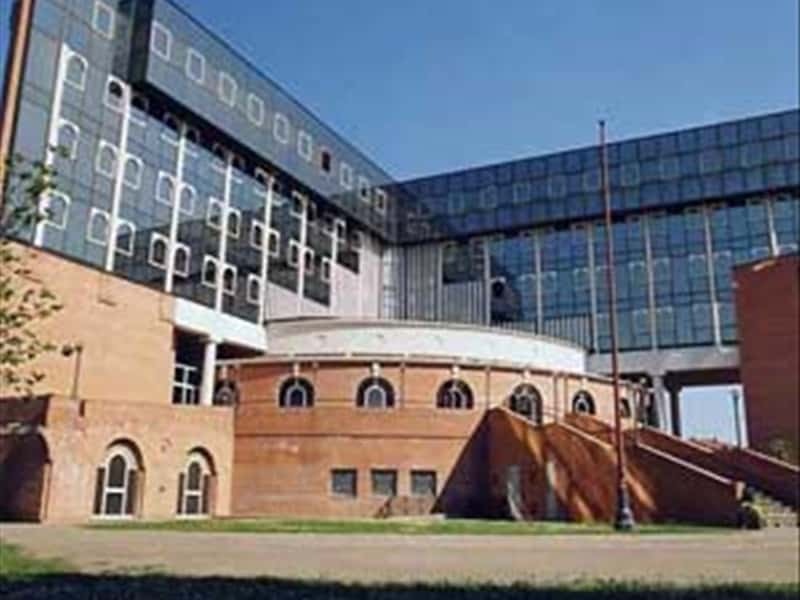 - the new City Hall, completed in 1991 and designed by Ivo Tagliaventi. This town web page has been visited 29,398 times.